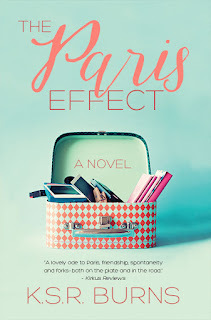 THE PARIS EFFECT by K.S.R. Burns is now available! We're delighted to announce the relaunch of The Paris Effect by K.S.R. Burns, a title Velvet Morning Press recently acquired from Booktrope. "... a can't-put-down-book... never stops being an absorbing adventure--not until the gratifying final moments... A lovely ode to Paris, friendship, spontaneity and forks. . .both on the plate and in the road." Amy and Kat had a plan: A secret trip to Paris. Even Amy's husband wouldn't know about it. But when Amy loses Kat, the "friend of her heart," to cancer, she knows the plan, too, has disappeared forever. Or has it? Guided by memories of her friend and dissatisfaction with her own calorie-counting life in Phoenix, Amy sneaks off to Paris while her husband is away on a business trip. Once there, she's robbed, stalked, arrested and kidnapped (almost). Worse, she finds that her numerous issues have come right along with her. Find The Paris Effect on Amazon! Back to Bayou Sabine is FREE on Amazon! Happy Launch Day to FOR HIRE by Erin Huss! Love & Entropy is FREE on Amazon! 3 Days Only! Mothers Ruined is on Sale for $0.99!